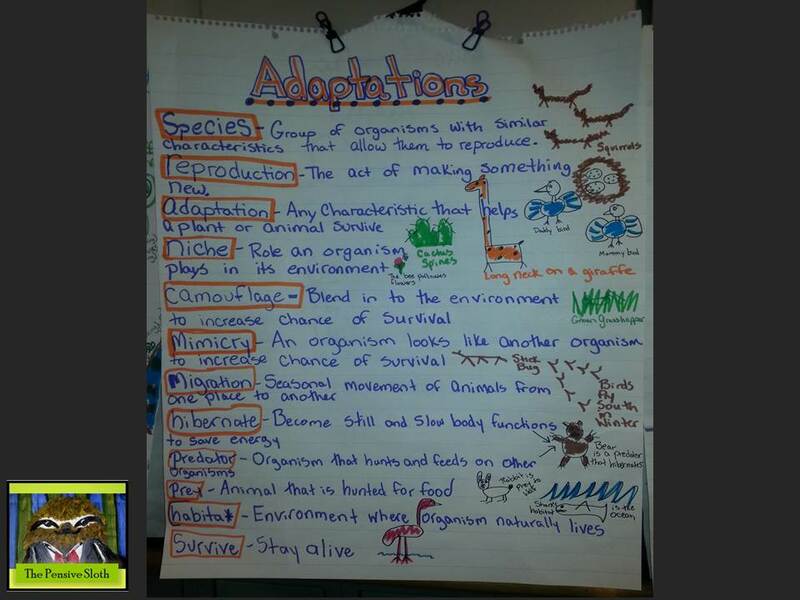 We are in full life science mode right now and spent the last few days learning about adaptations. Students made vocabulary foldables for new words and we sorted adaptations into physical (structural) and behavioral categories using a tree map. 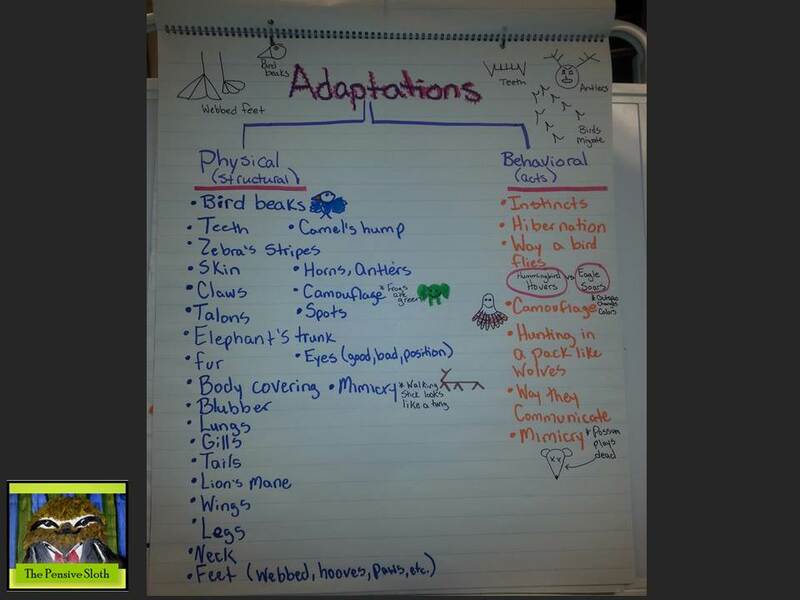 To show what they have learned, students are inventing an animal! I’m super excited about this ‘Invent an Animal’ project and so are they. I’ve given them each the description of an imaginary habitat and they have to invent an animal with specific adaptations for surviving in this environment. I’ll come back and let you know how it all worked out! Tree map sorting adaptations into two categories. Our adaptations word wall– I’m trying something new with my word walls so that they are portable and content specific rather than alphabetical. Students made foldables of these words by defining them in their own words and drawing a picture. We will add the foldables to our science notebooks.